This mod adds a single item called "Pendant of Life". If you die while you have it in your inventory, your items will be with you when you respawn so you never have to enable keep inventory. The pendant itself will be consumed upon use. Please feel welcome to use this mod in your modpack! I would love it if you did! - Configurable rarity. See config file for reference. - Optional recipes for the Pendant, and the Everlasting Pendant. - Added the Everlasting Pendant of Life which will never be consumed upon death! This item's recipe (8 Pendants wrapped around a dragon egg) can be disabled via config option. - Added Baubles support! You can now place the pendant in the amulet slot, as well as it will retain your baubles when you die! Interesting mod, but the recipe is too expensive with the 4 dragon breath. The recipe could be cheaper, for example not with dragon breath, could be replace them something else. And it's very similar to Death Bags mod what i use and much cheaper than this pendant. Except the Death Bags don't keep our XP, just with a green gem. I never used the green gem yet. 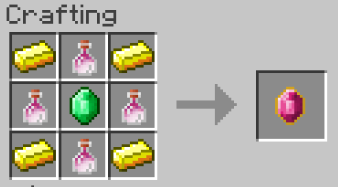 I have a request Can you add it so the pendant of life works with the aether legacy accessory inventory and the galacticraft inventory? WOuld be much appreciated. I will look into it. I think I am finding that the easiest thing to do will be whatever items exist on death that are not captured in the pendant (basically ones from other mods with inventories) , I will drop them at your feet where you respawn. Reason being, I would need to add compatibility for every individual mod that one could think of and this would much simpler and probably a decent compromise. I will implement this soon though I have a couple more projects I am pushing deadlines on at the moment. Can you add an optional recepie for the pendand? Sorry for the late reply, I have been quite busy with another project. I will fix this as soon as I can. Thanks for letting me know. This is resolved in 1.6 which is awaiting approval. Also, make sure the Totem is in your offhand. I just learned this during testing that's the only way it works (even in vanilla). Thanks! How exactly often does it spawn? Any chance for this to be configurable? Yes I can make that configurable. Next bit of time I get to work on this, I will add that feature. I went to add the weight configuration and found that I already did it :P Check the config file for an option called "rarity". That should be what you're looking for. Can't save Backpack Mod's backpack, and have EXP problems. Thanks for letting me know. I will see about adding compatibility for backpacks. What kind of XP problems are you facing exactly? Add thaumcraft aspect support? Make it save potion effects? Edit: Should mention they will be in the next update. 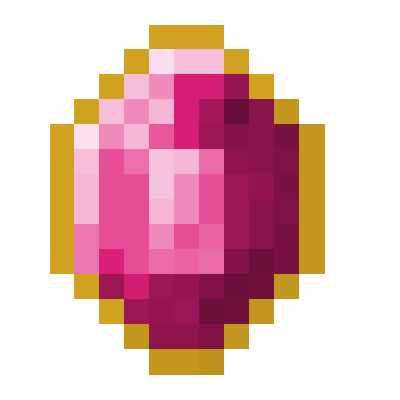 Does the Pendant spawn in the world by default or do I need some mod to add it to my loot tables? It doesn't spawn in the world by default. You can add it to your loot tables via custom resource pack. There are mods that you can use as well. With that being said, I do have plans to add it to dungeon loot potentially. In a future update would you consider making this work as a Bauble? It would be awesome to have this as an amulet.